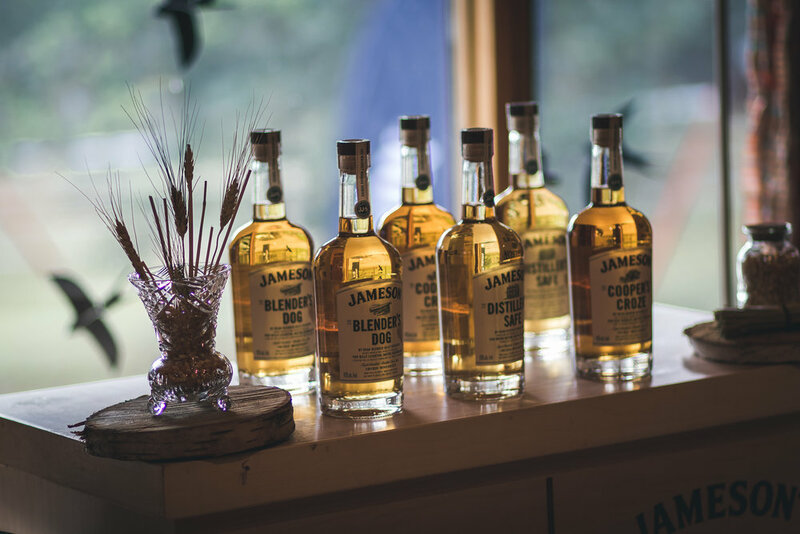 The Jameson Whiskey Secret Cabin Getaway is proof that the finer details add up to more than the sum of their parts - that small things well executed create engaging, memorable times. Jameson’s request was big and bold. 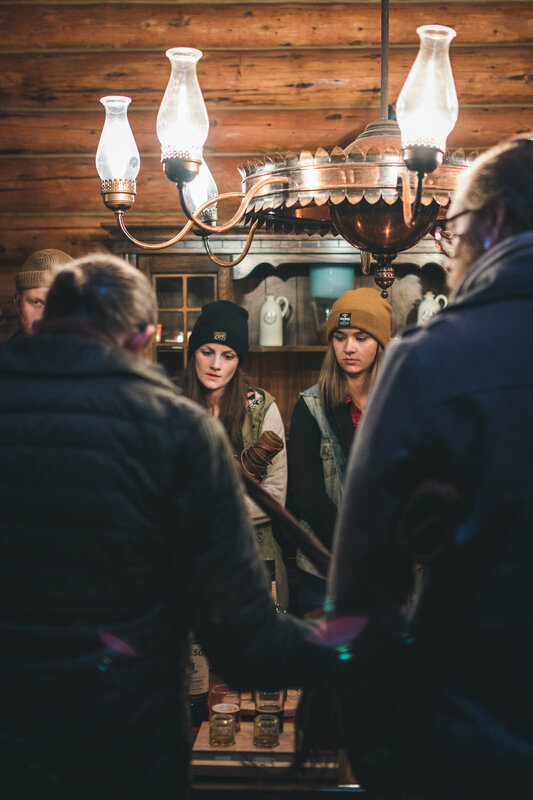 With a vast mountain landscape at their disposal, they wanted to immerse their partners in the very heart of the Rockies. 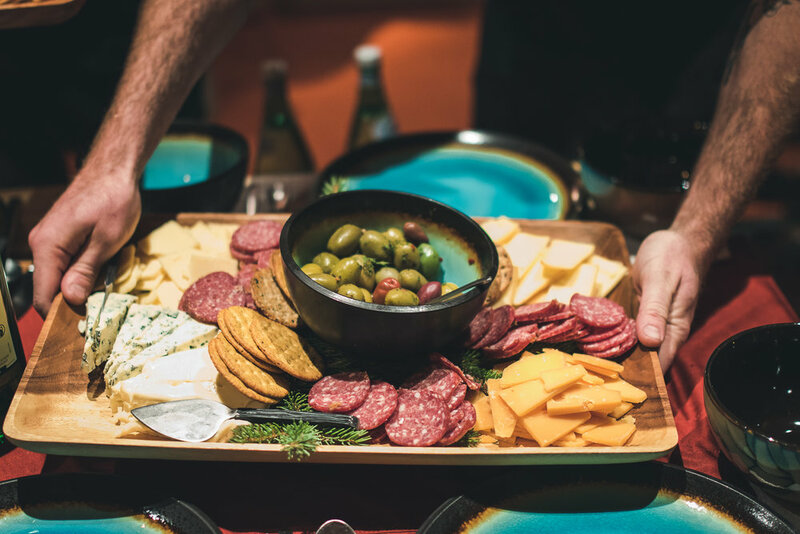 They put faith in us to not just host their brand and its ambassadors, but to whisk them away from city rigors into a world of rustic charm, wild beauty, and sensuous delight. The destination was a Bragg Creek foothills estate. 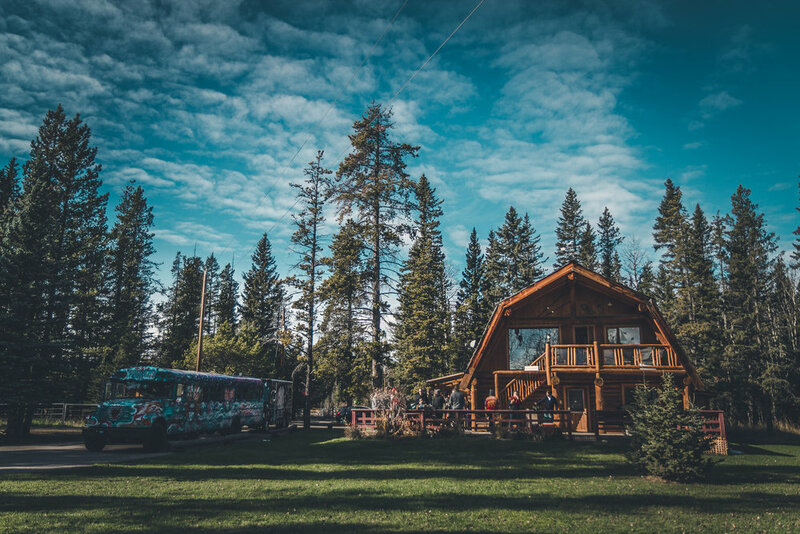 Guests rode the BassBus West from Calgary and encountered a colourful troubadour with a hand drawn sign: “Bragg Creek - music for a ride.” This friendly hitchhiker was local folk singer Earl Stevenson, who hosted and entertained guests through the entire getaway at our behest. Coffee and snacks by Phil & Sebastian and Sidewalk Citizen kept guests nourished with a healthy glow, so on arrival the winners were primed and ready for a nature walk and wilderness course. 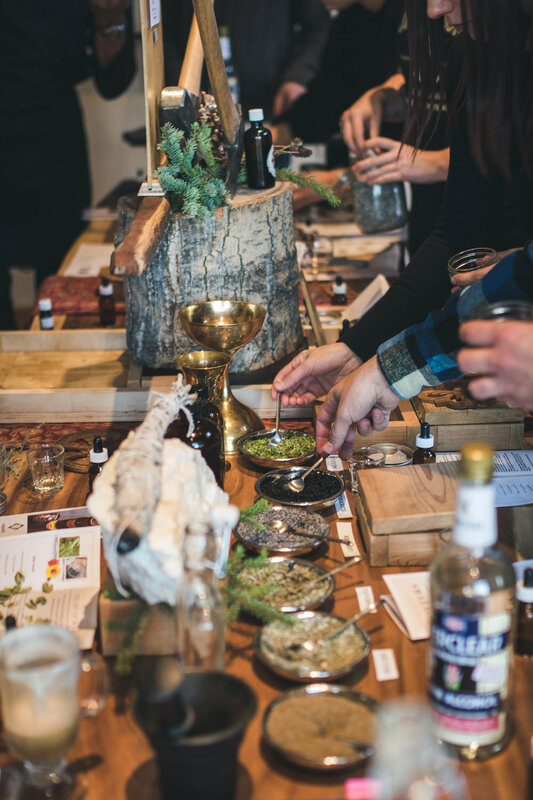 They dove into a workshop on native edible plants and herbs for bitters and tinctures. 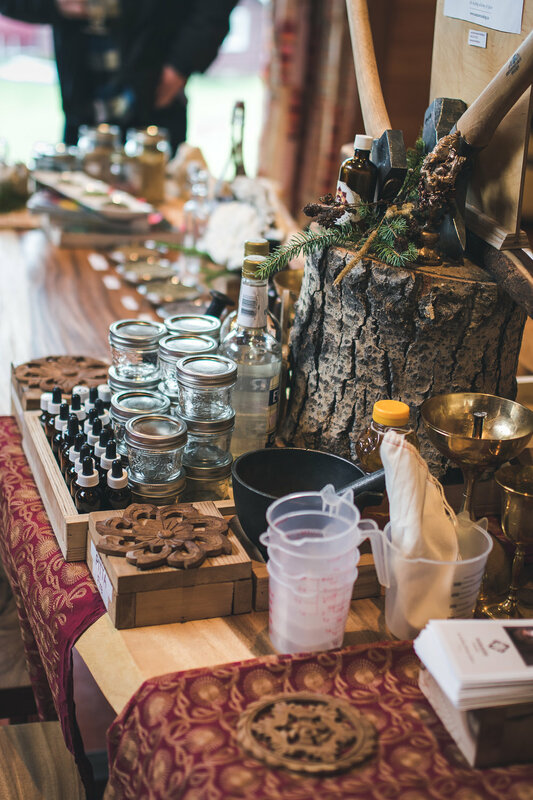 At the main lodge, guests gathered under the hearty aroma of pine needles and ayurvedic spices for a leather working course. They received a customized leather belt, nearly completed save a few buttons and snaps - enough to learn and craft something with their own hands. Guests then kicked back in front of a roaring fire in the Rocky Mountain winter. 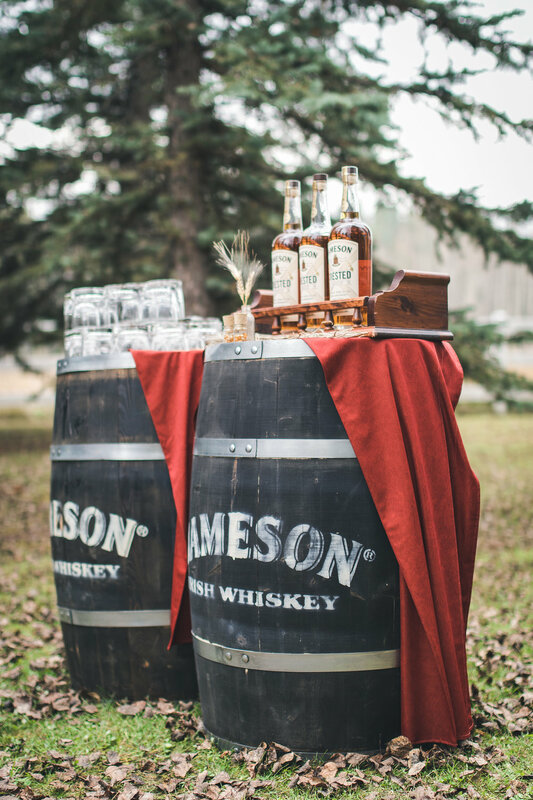 While Jameson provided whiskey tastings, live Celtic music was a warm and lively backdrop to the evening. Belly-warming libations like roast chicken, herb-crusted potato, and butternut squash were the homestyle orders of the evening. To make such an immersive experience happen, we were constantly on the move. During the nature walk, we flipped the lodge, sprinkled pine needles, set out whiskey and water, and gathered firewood. While they chatted and ate, we coordinated entertainment. Our goal was to enact an authentic, rugged yet comfortable experience with every lush detail filled in, down to proper Irish coffees in the morning. The extra effort came to a head at dinner. 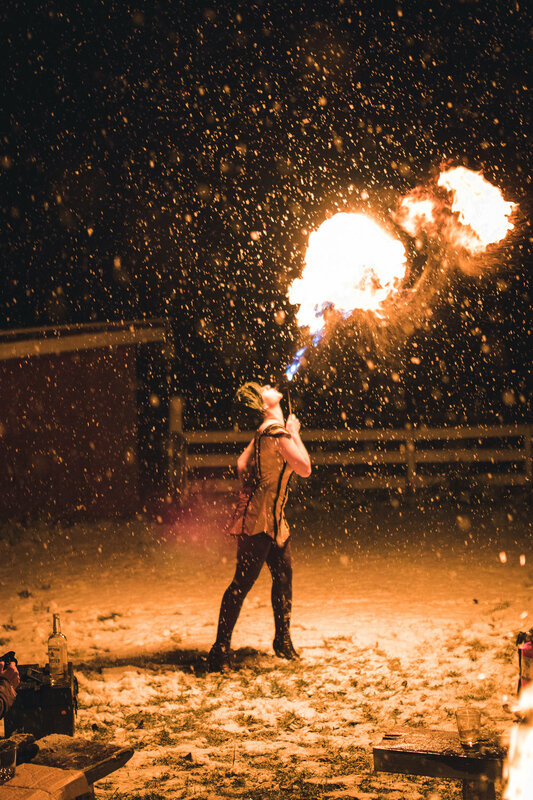 A soft, windless snow of huge drifting flakes blanketed the night as a fire burned and fiddles sang. 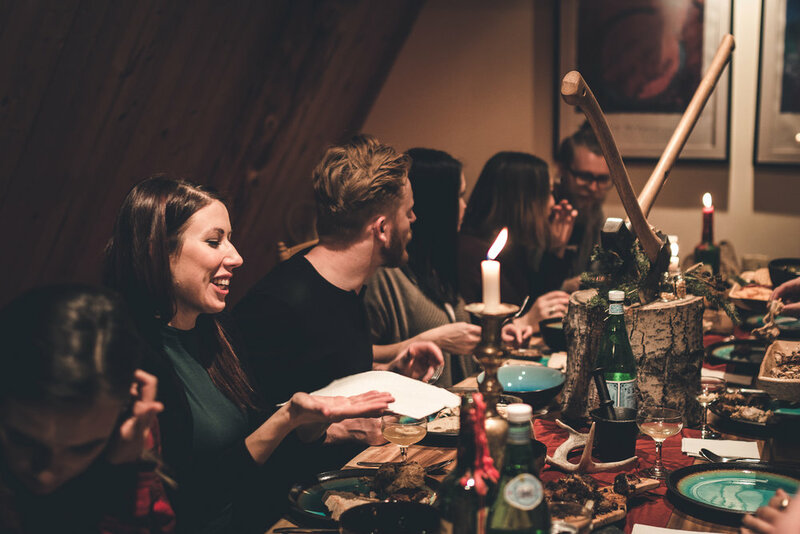 Dozens of moving parts, local merchants and entertainers added up to an evening worthy of Dickens - a poetic, enchanting night in a picturesque setting, calm and connective, with friends old and new.